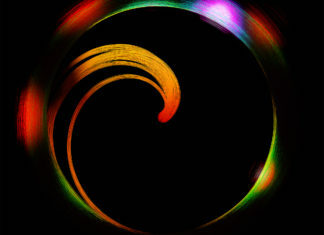 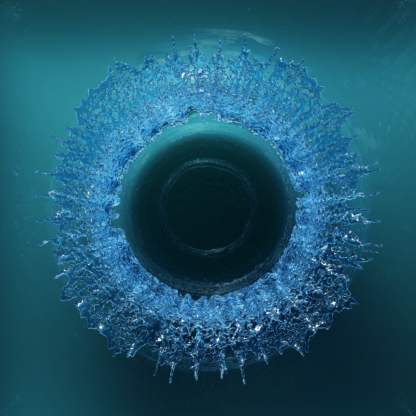 This piece is based on a physics simulation of a sphere dropping into water. 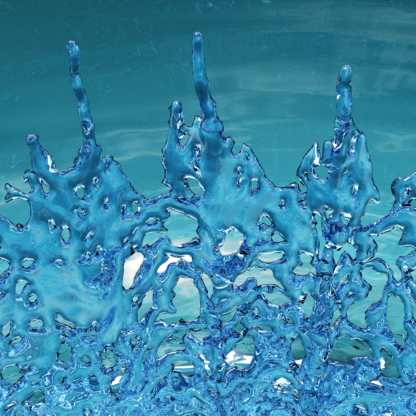 The sphere is invisible in the final render to allow the interior of the splash to be seen. 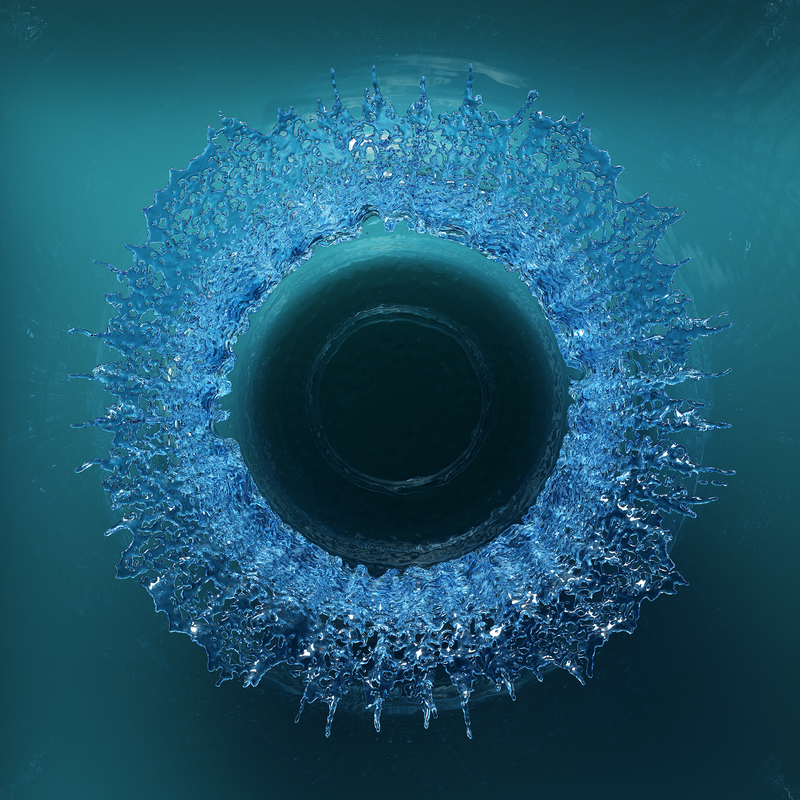 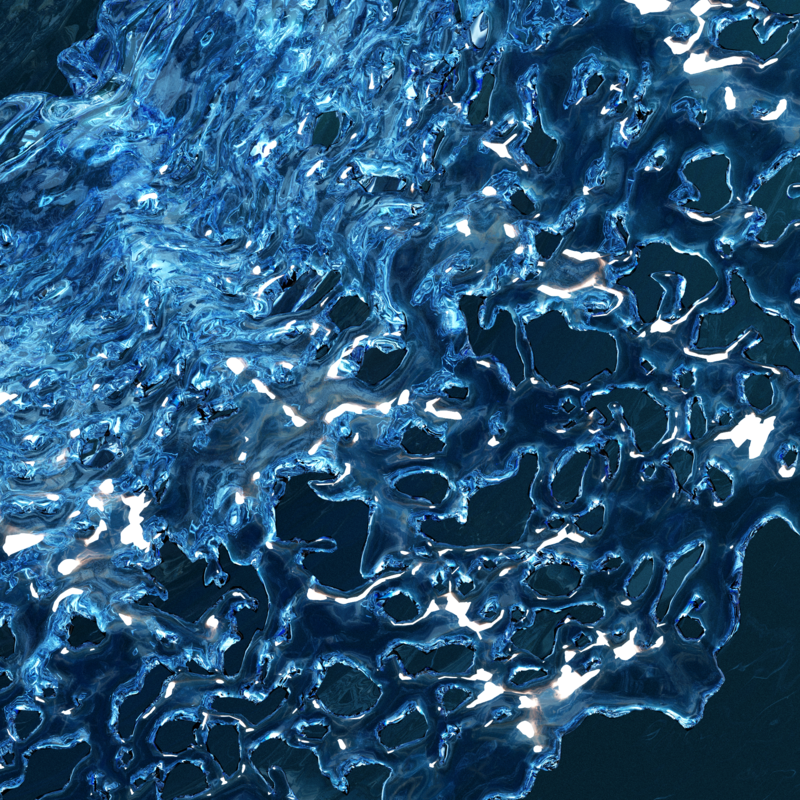 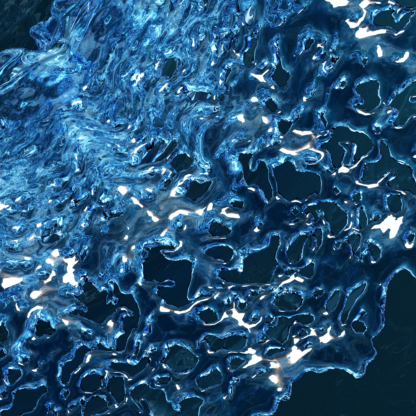 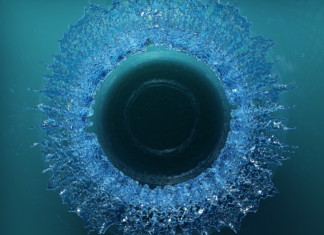 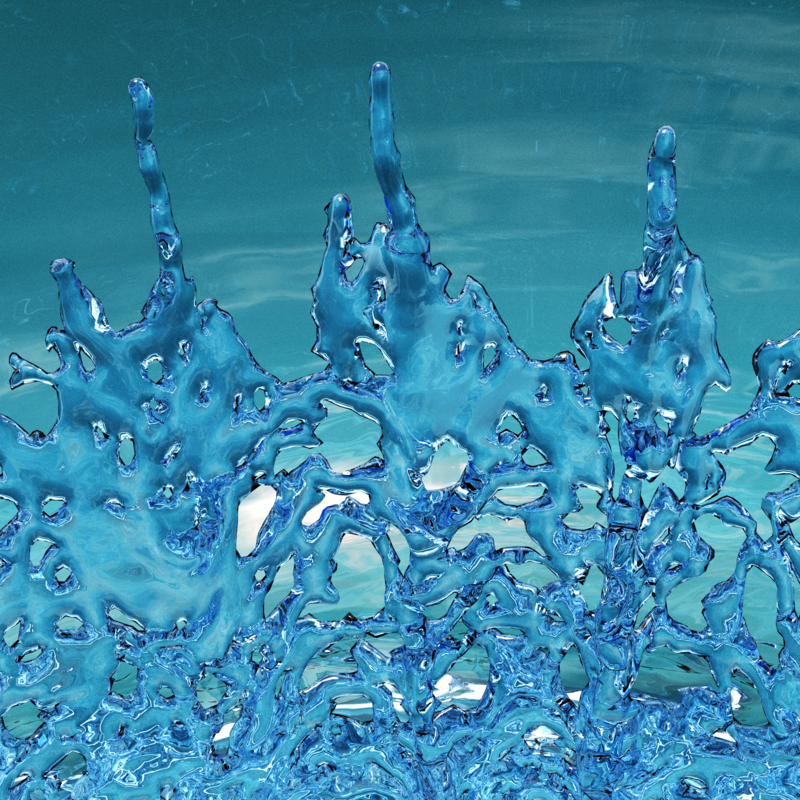 The process to produce this image took several days of simulation and rendering to show the moment in time 1/3 of a second after the sphere impacts the water surface. 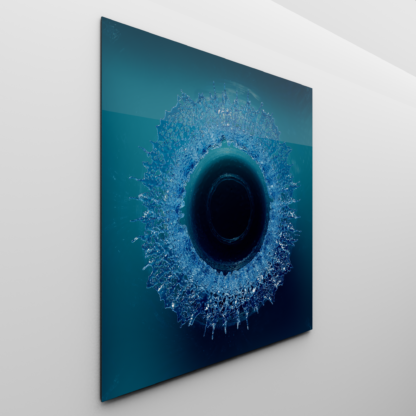 The scene is rendered out at 300 dpi and printed on high resolution photographic paper mounted behind clear Acrylic.